Gospel Coalition | Musings from under the bus. The MH wounded… where are Acts 29, TGC, T4G, and real shepherds? “The credibility of the church will rise and fall on how it treats the weak and wounded. Mark Driscoll called former friends and former pastors ‘bodies under the bus’ and was hoping for a mountain of them. I know of no high-profile pastor who has publicly called for prayer for those bodies.” Matt Redmond writes in an excellent post (link). The sheep continue to hurt as men who propped up, enabled, supported, lauded, and benefitted from Mark Driscoll make comments about praying for and supporting Driscoll while they have no words of concern for the sheep. As the discussion continues within the church analyzing how the Mars Hill Church rise and fall happened, certain men are going to have to speak. It would be healing to all if they spoke words of comfort and prayer for the thousands who have been harmed in so many countless ways. 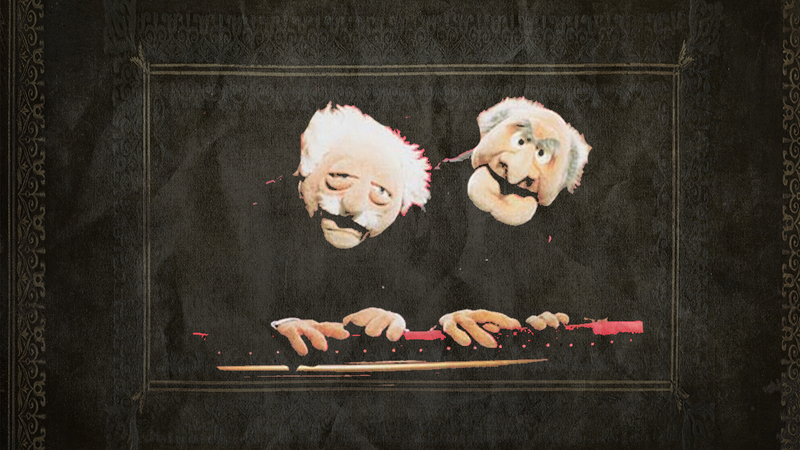 and finally… just for the sake of a little humor…..
Who is outwitting Mars Hill Leadership? 2 Cor 2:10 -11 warns that Satan can outwit the church. Mars Hill Church has not only failed to reconcile with the many members abusively thrown under the bus over the years, but after almost seven years they are still shunning Paul Petry. They are also seemingly hapless in their attempts to deal with the current scandals, choosing to cover up and hide the truth rather than “man-up” and be accountable. This was demonstrated again yesterday in their attempt to remove videos posted on YouTube where in 2012 Mark Driscoll clearly asked the members of Mars Hill Church to consider giving to the Global Fund or Mars Hill Global (link). If you are following the scandal, the new spin from Sutton Turner is that since 2009 Mars Hill Global was not in fact a fund, but was global donors that were giving to the general fund. Most of the organization’s solicitations for designated donations were made through the videos with an Ethiopian backdrop, clearly implying that the funds would be used for international outreach. Rather than admit the truth, that only a very small percentage of the money went to Africa and India, Mars Hill Church leaders are trying to re-spin the story. Anyone who knows me knows that I have been focused on exonerating Paul Petry and Bent Meyer, and demanding a repeal of the 2007 bylaws that were changed in an improper manner. 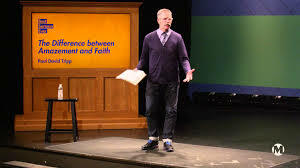 It would seem, based upon understanding the Apostle Paul’s warning in 2 Corinthians 2, that it would be in the interest of Mars Hill Church to reconcile with Paul Petry and stop the almost seven years of shunning. Being too harsh with members invites Satan to outplay you. The scripture passage is referencing the punishment of the man who was thrown out of the church in 1 Corinthians 5 for gross sin. Apparently he had repented, but the Corinthian church had not yet ended the punishment. Paul exhorts them that failure to forgive would cause Satan to outwit them. There are two warnings. The first is that failure to affirm love and forgiveness will cause the victim to be overwhelmed with excessive sorrow. I can identify with that warning. The second is that failure to forgive and affirm the member will mean that Satan can take advantage of the church or, as some translations say, outwit the church. The Apostle Paul’s warning in 2 Cor 2 applied to a case where the punishment was completely warranted but simply went on for too long. 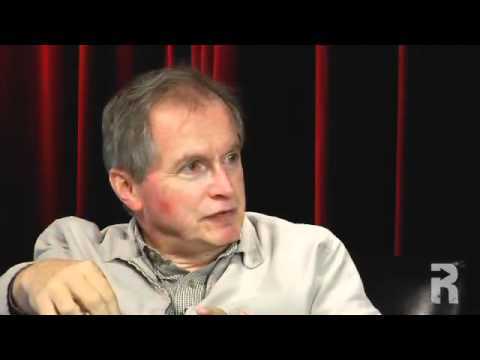 In Paul Petry’s case, it is well documented that his show trial was a farce and merely a way of getting rid of a reasoned voice opposing the awful changes in the bylaws. Seven years of shunning is excessive by any reasonable measure. The Apostle Paul’s warning is particularly relevant in this case. How much more then, if Paul Petry’s shunning is undeserved, will Satan be in a position to outwit Mars Hill Church leadership? They ought to take heed. We are seeing the consequence playing out before our very eyes. More than one casual observer has expressed surprise at the seeming gaffs by Mars Hill Church leadership in reacting after being exposed for deceit and spin relating to the many scandals that they are facing. Historically Mars Hill has had excellent PR skills. But not recently. Are they being outwitted? It seems obvious to the average Christian that to simply tell the truth is by far the easiest and most righteous thing to do when caught in a lie. Members will forgive a genuine plea for forgiveness. This is not happening at Mars Hill Church, where instead every scandal is addressed by new spin and explanation. Three changing explanations for the shameful spending of $210,000 of church money to deceptively manipulate sales to ensure a spot on the NYT Bestsellers’ list. Apologies and conflicting stories to explain how the global fund spent a “preponderate” percentage of money in the US and not in Ethiopia and India, while concurrently saying that the fund has not existed since 2009. The more appropriate word should be a “preposterous” amount. 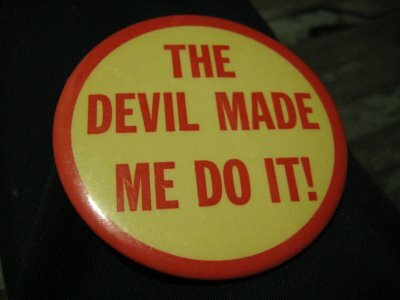 Does the Mars Hill Leadership think that we donors, members and ex-members are fools? Do they think that their shifting explanations will outwit us? Or is it the Mars Hill leadership that is being unwittingly outwitted (2 Cor 2:10)? Changing the story is a form of lying. Mars Hill keeps changing the story. This is disturbing as truth telling is being avoided in favor of cover-up. This is foolish and certainly a possible demonstration of the leadership being outwitted. It seems that the attempts to correct the scandals are being so badly spun that anyone who is paying attention can see it. Why can they not be forthright and open? Members are asking how much of the Global Fund money was spent on international outreach. Instead of answering the question, and despite clear evidence that the solicitation was for the Global Fund and in addition to normal giving, Mars Hill has chosen to say that there is no Global Fund, and that since 2009 it refers to global donors. Abundant evidence exists to show that this is simply not true. Donor receipts after 2009 reflect their donations to the Global Fund. By refusing to be truthful, the leadership is playing a game where they are just hurting themselves. This is the warning of 1 Cor 2:10. A reminder to the reader to some of the sad scandals that all reflect failure to be truthful or a desire to hide the truth. – Purging the history of who founded Mars Hill Church. – Plagiarism in multiple books authored by Mark Driscoll. – Deceptively manipulating sales of “Real Marriage” to ensure a New York Times Bestseller title. 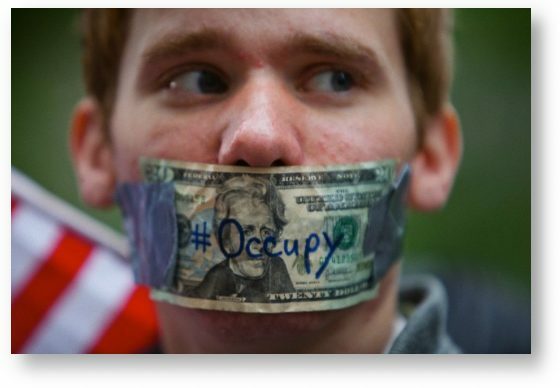 – Requiring gag-orders from departing employees in order to get severance pay – thus attempting to silence truth-tellers. – Requiring an employee that files a charge against Mark Driscoll to submit their resignation first. – Repeatedly soliciting Global Fund money using an African backdrop implying the funds were to be used for International Outreach. – Removing and purging the names of members who helped build the church, including founders Lief Moi and Mike Gunn. – Removing hundreds of sermons and other content from accessibility to members and the general public. But before these recent examples, let me talk about the mother of all deceptions. 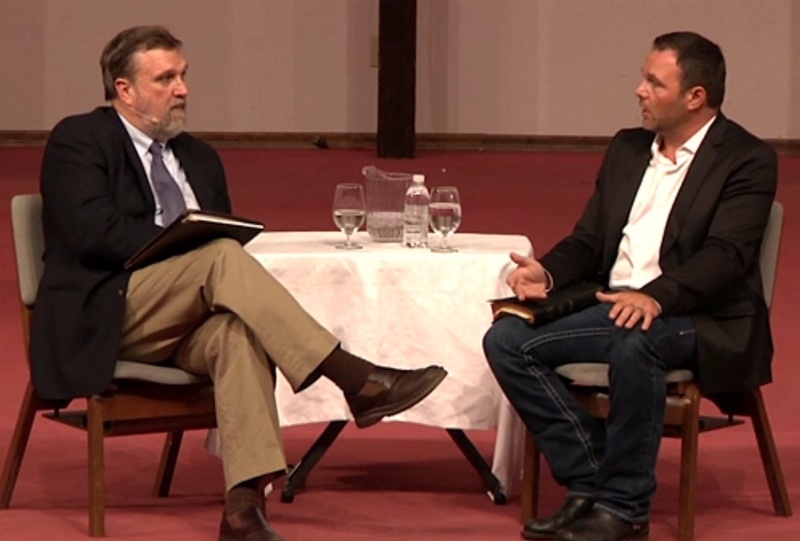 For years Mark Driscoll preached that he was one of a plurality of elders of equal authority. He preached that this was the biblical pattern for church leadership. He said he could get fired by his elders. This made Mars Hill members like myself feel secure and safe. Little did we know that Mark Driscoll, while preaching this with great frequency and fervor, was reverse engineering a plan to change this form of governance and accountability. While preaching this line, and getting the support of our tithes, offerings, and volunteered effort as a result, he and former executive elder Jamie Munson rewrote the bylaws to usher in a church governance structure that was the antithesis to what Mark Driscoll was concurrently preaching. Then, in an effort to ward off opposition at the elder level, they accused Bent Meyer and Paul Petry of opposing the new bylaws because they wanted to grab power. After ruthlessly firing the men and subjecting them to a show trial full of hearsay and pettiness, they told the church that the men demanded power. As unsettled members were trying to understand what had happened, every member covenant was torn up, and a seemingly healthy church of over 1,600 members and over 3000 attenders was shut down and Mars Hill Church was “replanted”. Over 1,000 members did not join the replant. Our church was deceptively taken from us. 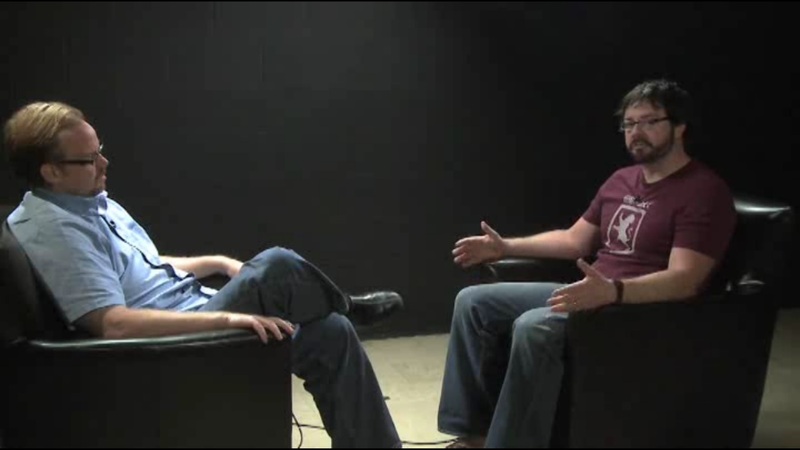 Mark Driscoll told an interviewer that he lost over 1,000 members because he raised the bar for membership by publishing his book – “Doctrine”. Yet the truth was that the only change was the new bylaws that consolidated power in Mark Driscoll’s hands (link). So few ex-members were signing up for the replant that attendees were recruited to become members more fervently than the local fitness club tries to sign you up. In addition, Bent Meyer was found to be not guilty on all counts but one. 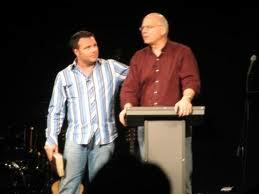 Mark Driscoll and Jamie Munson were his accusers. The outcome of the trial of Bent Meyer clearly demonstrated that the accusations were false. In other words, they were lies. The seeds of deceit in 2007 have born the fruit of repeated deceit since then as we are all seeing. 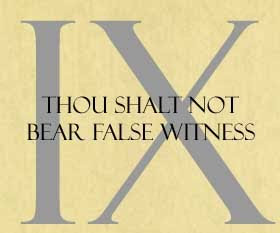 For Mars Hill Church to survive and recover from its current implosion, the deceitful and coercive changing of the bylaws and the shameful treatment of Paul Petry and Bent Meyer and their families will have to be dealt with. If the 2 Cor 2:10 warning means anything, it seems to warn that even subsequent confession and apologies will not thwart the injustice of failing to affirm love for the brother whose punishment has become harsh. So confession and repentance must, for the sake of Mars Hill Church, start with the unjust treatment of Paul Petry. It also needs to be a full attempt at learning to tell the truth and transparently walking in the light on all matters. True reconciliation and fellowship will be the result. It will involve forgiveness and restoration, and despite the pain of the process will bring true joy and freedom. It will be “all about Jesus” in a way that Mark Driscoll and Mars Hill Church has not experienced in some time. The alternative is to continue to walk in the dark, continue to shun not only Paul Petry, but the many bodies under the bus, and we fail to realize that the consequence of this is to allow Satan to continue to outwit. He is an angel of darkness and the source of spin, deceit and lies. Satan is defeated by the walking in the light. 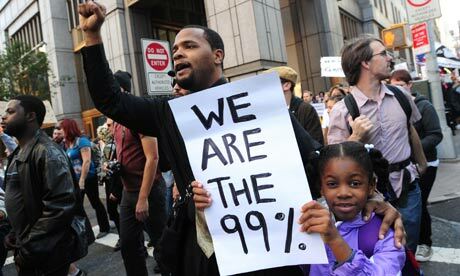 Mars Hill Church disses both the 99% and the 1% and points to the fund that they claim does not exist! Despite belittling 99% of the petitioners, Mars Hill Church leadership responded hastily to the petition these people participated in over the past week (link). In a post to members, Mars Hill Church leadership has made some things quite clear, and also added to the confusion that they have already admitted. As we strive to communicate the vision of Mars Hill Church, there has been an outside petition asking questions of Mars Hill. However, of the nearly 400 signers, only four have ever given to Mars Hill Global. We sent letters this past week to over 6000 Global donors giving them the option to designate their funds solely for international work if they wish. We received many replies of encouragement, as well as a few people who asked to change their designation, and we have gladly made those changes. It is clear that this issue is a serious one. Deceptively raising money for a non-existent Global Fund is a violation of ECFA standards, and, like using church funds to deceptively purchase a spot on the NYT bestseller list, is something that is clearly immoral. Despite belittling the petition, it certainly got the Executive Elders’ attention.. It is clear that Mars Hill Leaders can provide exact numbers when it serves their purpose. They spent time and effort to go through the list of petitioners to show that only 1% gave to Mars Hill Global. It is clear that the leadership failed to respond to the request of the 4 donors to Mars Hill Global as well as the remaining 99% who were members, ex-members and friends. The petitioners asked what was actually spent on international mission. They were quick to spend time researching how many actually gave to the fund called Mars Hill Global, yet simply ignored the donors’ request. Four petitioners gave to Mars Hill Global… but I thought Mars Hill Global were the global donors out there. Ah….. so there is a fund – despite the latest explanation that there is no fund. It is clear that the leadership appears to imply that the petition is of lesser value because “only” four of the petitioners have ever given to Mars Hill Global. This disregards the 1% that actually gave to the fund, and disregards the 99% that were members, ex-members and friends, many, if not most, of whom gave to the general fund. It is clear based upon this communication that the Global Fund did exist recently and that donors to the fund are seen as such. This flies in the face of the recent spin from Sutton Turner that Mars Hill Global is not a fund but is in fact global donors to the General Fund. If Mars Hill Global is simply global donors giving to the general fund, and if that includes everyone, including Mars Hill members (as Turner stated), then it seems that they would not say that four of the petitioners gave to Mars Hill Global. Based upon the latest explanation from Turner, the four would be global donors to the general fund, as he claims that since 2009 the Global Fund has not existed. So it appears that Mars Hill Global does exist as there is data available to identify four donors to the fund who made up 1% of the petitioners asking Mars Hill to make clear how much Global Fund money was actually spent on international outreach. It is clear that the 99%, made up of members, former members and friends did not give to Mars Hill Global – a fund that supposedly does not exist. Obviously the fund does exist as four of the petitioners were identified as having given to it. It is clear that in 2010 Mars Hill Global was listed as a restricted fund in footnote 5 of the abridged version of the Annual Financial Statements. It is clear in this video that the fund exists (link). It is clear that in 2014 almost all promotions for giving “to” Mars Hill Global was set in an African setting, deceptively implying that the fund was intended to go toward international church planting (link). It is clear that a preponderance of the money that was raised in that fund went to U.S. Mars Hill church plants and not to Ethiopia or India as implied. It is clear that Mars Hill leadership does not want to tell donors how much of the Global Fund money was spent on Ethiopia and India. Are they embarrassed about how little that amount was, perhaps? Was it more than the $210,000 spent on deceptively buying a spot on the NYT Bestseller list? Was it less that the annual salaries of any one of the Executive Elders? 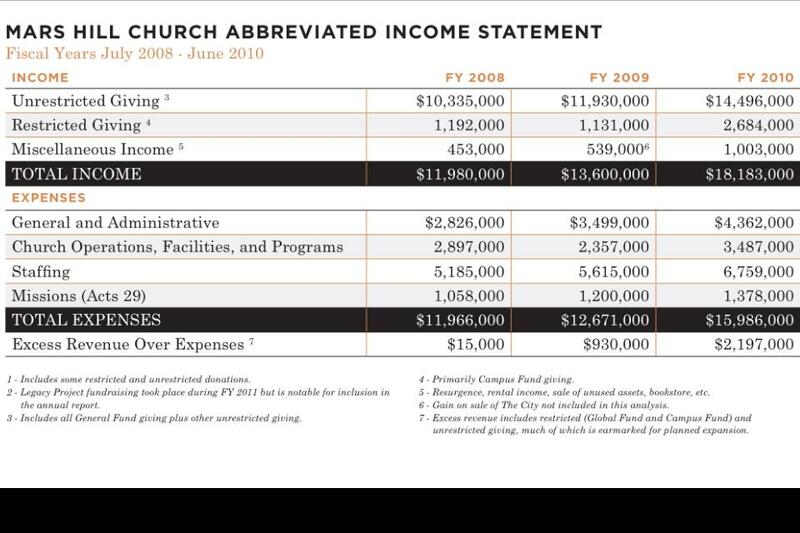 Now that it is clear that there is a fund in to which at least 6000 donors gave, four of which petitioned Mars Hill Church, will the leadership now simply respect the 1% that donated to the fund and answer their question? Mars Hill Church leadership has admitted to confusing donors about the Global Fund and Mars Hill Global. After admitting fault in confusing donors on Mars Hill Global, the leadership proceeded to tell some of the truth, but clearly avoided telling donors what they wanted to know. Donors were told that $22.48 million was spent on church planting in the US, India and Ethiopia. Donors are also told that over $10 million was donated by the Mars Hill Global family. Donors are not told how much of the over $10 million that Mars Hill received through the deceptively marketed “fund” actually was spent on Ethiopia and India. So after saying that Mars Hill Global is all the people who are throughout the world listening in and supporting the church, and that their money, given to the Global Fund, was simply placed into the general fund of the church, Mars Hill leaders are now including the members of Mars Hill Church in Mars Hill Global. Now everyone, including local church members, are and have always been a part of Mars Hill Global. So the story has changed once more. The Global Fund, a designated fund prior to Sutton Turner’s arrival at Mars Hill Church, morphed from meaning a fund to meaning the global Mars Hill community of podcasters and supporters out there, and has now morphed again to include members as well. Everyone is now Mars Hill Global. If in fact the money has always gone into the general fund of the church (even though designated by the auditors as restricted in earlier years), then why not ask donors to merely help support the church? The confusion seems to have been borne out of deception. But more troubling, is that the leadership simply will not tell donors how much money was spent in Ethiopia and India. It would be an easy question to answer from a pure accounting point of view. But I suspect that it is a very hard question to answer because the numbers would show the level of exploitive marketing in attracting donors to give. Donors are told that the preponderance of the money received via the Global Fund was spent on plants and replants in the U.S. Preponderance could mean 70% or 80%. So even though 95% of the solicitations to give appear to be pitching an Ethiopian setting, the preponderance of the money was spent in the U.S.
Of course, other ex-members or employees might have some idea of the actual percentage spent in Ethiopia and India, but let’s examine what the leadership says. They tell donors that funds going to India and Ethiopia have been consistent over the years, with an increase in 2012 to 2014. Well, what I learned as a member of Mars Hill while travelling with certain Acts 29 leaders in Africa, was that the Indian pastors were given a monthly stipend to assist them. If my memory serves me correctly, it was about $75 per month per pastor. So if Mars Hill is being consistent, which they claim, then prior to 2012 they supported no more than 33 Indian pastors at a cost of about $2,475 per month. In 2012, Sutton Turner attracted Mars Hill to support Ethiopian pastors, and 40 evangelists are being supported. To be consistent, they would also get a monthly stipend. So perhaps from 2012 t0 2014 the total Indian and Ethiopian ministers being supported totaled 73, which at $100 per month amounts to $7,300 per month. Under this consistency, the total amount spent from 2009 to 2014 would be somewhere in the neighborhood of $350,000. This amounts 0.35% of $10 million. It is no wonder it is so hard for the truth to be told. Given the “confusing” but otherwise blatant implication that donors are giving to the poor, needy Africans in Ethiopia, it would be a shocking truth to discover that after the preponderance of money spent locally buying U.S. buildings and paying U.S. salaries, the remainder that went to India and Ethiopia was less than 1%. Some donors might be encouraged that the amount that was consistently given probably exceeded the $210,000 spent on the similarly deceptive manipulation of the NYT bestseller listing. Of course, it pales when compared to the salaries of the Executive Elders that were paid out of the same fund into which Global donors gifts were directed…. So sorry for the confusion, folks. Saul was on a mission. He passionately believed in church as he knew it: a highly organized system, very biblically based, with a strong focus on the future coming of a messiah. You could say that Saul’s church pointed to the messiah. But when Jesus showed up on the scene, he shook that highly organized system to its core. He said things that were earth-shattering. He challenged the church leaders about almost everything. He repeatedly told them that they had things all wrong. They had added tradition upon tradition, law upon law, program upon program – completely losing sight of what God had actually said. And on top of that, Jesus claimed to be the Messiah. The church pointed to the messiah, but when the Messiah came and dwelt among them, they didn’t recognize him. In fact, they despised him. Saw him as an enemy. A terrible threat. The church leaders hated how right Jesus was all the time. Over and over they were left speechless and fuming, unable to respond to the charges he brought against them without losing face in front of the crowds. And they were quickly losing credibility. They grew more and more angry with Jesus, to the point of plotting to kill him. And they succeeded. But Jesus had followers. The truth that he had shared grew and spread, and more and more people came to see that he was the Messiah that the prophets had foretold long ago. He was the one Israel was waiting for. More and more of the flock began to hear the voice of the true shepherd. And now they were living different lives. No longer were they bringing sacrifices to the priests. No longer were they coming to the synagogue to hear the Rabbis preach. They were teaching that Jesus fulfilled the law, and that the Temple would end up being destroyed. And they were holding their own meetings! And they called one another “brother” and “sister” – no one was called Rabbi or Teacher, not even the leaders. It was radical! The church leaders – the wolves – were of course nervous and angry. They thought killing Jesus would solve everything. But now the problem was growing and multiplying. So they tried to kill the apostles, but they somehow always managed to slip out of their grip. Finally they killed Stephen, a disciple of Jesus. After they killed Stephen, the wolves started persecuting all the believers. The people scattered. They ran for their lives. But the persecution was only fuel for the fire, because the scattered ones took the truth wherever they went. They spread the word. They talked. Maybe they wrote. And more and more people came to faith in Jesus. More and more people walked away from life – and church – as they knew it. They too started doing things differently. The threat to the church was growing. Saul oversaw the stoning of Stephen. It was part of his mission. Threats to the church must be eliminated. And eliminating threats was Saul’s forte. He was bloodthirsty. And here he is breathing out murderous threats against those troublemaking followers of Jesus. And he went to the high priest. The high priest was a man who was supposed to be deeply trustworthy. He was to handle the most sacred of tasks: seeking forgiveness for all of Israel’s sins, keeping peace between God and Israel. And it is this man that Saul seeks out. With murder in his heart and on his lips he seeks an alliance with the very man who is supposed to cleanse Israel of all sin. 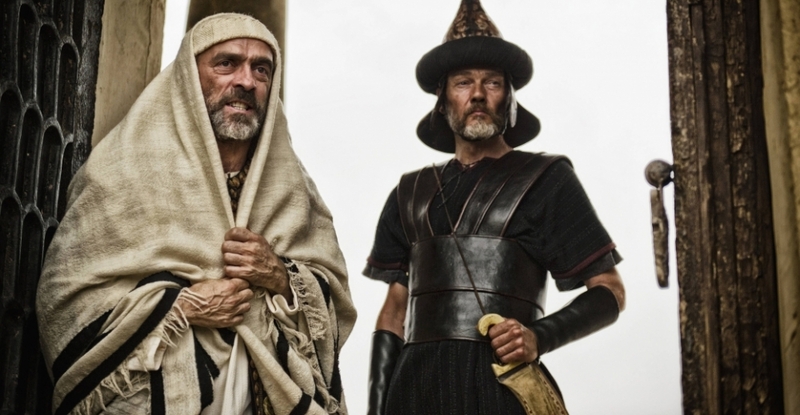 Murderous Saul asks the high priest of Israel to give him written permission to round up the followers of Jesus. The high priest, after all, pointed the way to God. He had to eliminate these people who were rocking the boat, who were spreading this heresy that Jesus himself was the Way. How can a person be the way to God? No! The way to God was through systems, structure, law, rituals, programs. Not a person. Besides, the high priest knew that the messiah was supposed to be a glorious king. Not this humble carpenter with calloused hands and a face that didn’t stand out in a crowd. No, the Son of Man would sparkle. He’d be a rock star. He’d be rich and powerful. He’d have big money and great power at his disposal, and he’d use his might to fix all of Israel’s problems. He’d rally the troops, declare a holy war, and he’d win. He’d make Israel mighty and powerful! The real messiah wouldn’t live such a humble life as Jesus lived, and then die young. This the high priest knew for sure. This Jesus guy was a fraud. A false prophet. And his followers were continuing to spread his false teachings. They had to be stopped. Israel had to be protected from going off track. The flock had to be protected from going astray following this dead guy who clearly was not the messiah. And these followers of Jesus who claimed that he had risen from the dead – that everything he had said was true – they were pure trouble. They had to be eliminated. Wiped out. The high priest was sure of it. When you shun people for asking reasonable questions about things that the Body of Christ has a right to know, you are shunning Jesus. When you fire someone for proposing that the church is heading in an unbiblical direction, you are firing Jesus. When you threaten to destroy someone just because he pleads with church leaders to treat one another with impartiality and fairness, you threaten to destroy Jesus. And Jesus takes it very personally. The church is the bride of Christ. All of us who follow him are his bride. We are one Body. And we are one with him. And when any of us is treated unjustly, Jesus responds like a protective husband. It doesn’t matter who is doing the attacking – it can be the high priest of Israel himself! So here Jesus confronts Saul on the road to Damascus. And Saul is confused about whose voice is coming out of the cloud. He thought he was fighting for God, killing off threats to the church, but this voice from the cloud sounded an awful lot like what you would expect God to sound like. “‘Who are you, Lord?’ Saul asked. Jesus!? But…he was supposed to be dead! You mean those truth-telling troublemakers were right? What! Jesus is alive? Saul’s mind must have been racing. He must have been shaken to the core. So much of what he thought was right and true…wasn’t. Saul needed some time to grasp what was going on. Jesus had confronted him with the truth, and Saul was floored. Maybe his mind was racing with possible ways to deny what he had just experienced, to erase what had just happened. But the blindness! It was undeniable proof that Saul’s mission was terribly off track. Saul was stuck. Like an animal caught in a trap, just laying there panting. Saul, like any church leader, was a man of prayer. He had likely prayed countless prayers in his lifetime. And here he is calling out to God for answers, for help. And God answered him with a vision of a certain man. A man who would help him to see clearly again. And God tells Ananias: it’s you who will open Saul’s eyes. Ananias is scared. He’s heard reports about Saul’s violence and the abuse he’s put so many Christians through. And he knows that Saul is backed by the authority of the highest spiritual leaders in Israel. This is not someone that Ananias wants to encounter. And it’s certainly not someone that he wants to help. But God assures Ananias that he has chosen Saul to preach the gospel to many people. He would be God’s tool to spread the news of Jesus – that he is the Messiah, that he died and rose from the dead, that he is Kind of kings, and he will change the world. All the broken ways of men – all the corrupted systems, the tainted priesthoods, the oppressive kingdoms – will fade away. And in its place will be the kingdom of heaven. And it’s here now! It’s in the heart of every true believer! It’s in our midst when we fellowship in spirit and in truth! And Saul would suffer. Jesus offers forgiveness and an amazing fresh start; a truly new life. But that doesn’t mean we don’t have to suffer, especially if we have sinned against God and his true followers like Saul did. There is no cheap grace with God. You really want to repent? Great! But you still need to face the real-world fruit of your sin. And you may need to go through a great deal of suffering as you work to undo the damage you’ve done. Saul would go on to become an incredible stone in the foundation of Christianity. He would author most of the New Testament. But despite being an amazing teacher, church planter, and a highly gifted writer, God did not give Saul a large salary, a beachfront house and a pampered life with lots of bling. No! Despite his great talent, God had in mind that Saul would suffer greatly, that he would work a blue collar job to pay his own way, and that his ministry would not last very long. 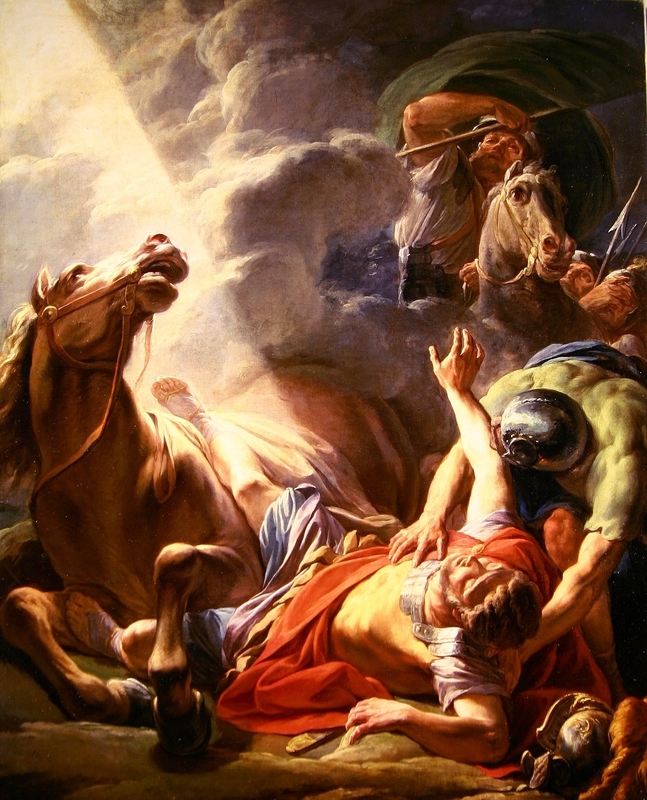 Saul’s eyes were opened. He could see again, physically. And he was forever changed. He would see for the first time spiritually. He would repent. And he would embrace God’s plan for him with his whole heart – suffering and all. And the new life he would lead, the new ministry he would devote himself to, would leave an incredible legacy for us all. A legacy worth dying for. Acts 6 teaches true leadership. 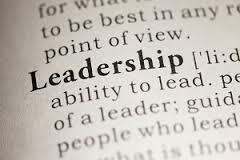 Leadership was chosen by the “brothers and sisters”, not from the top down. Stephen was chosen for his leadership role by the entire church. The apostles merely blessed what the whole church decided. It’s worth taking a closer look at the leadership style of the apostles. The apostles had a problem to solve, so they took it straight to….tada!….all the disciples. All the Christians. The whole church. And it was not a small number of people: Acts 4:4 says that there were about 5,000 believers. Look at that! The apostles included the women in the process just as much as the men! The apostles trusted that the body of believers had enough discernment to make decisions about church matters. Here they are being trusted to identify and choose their own leaders. The apostles trusted the whole church so much that they committed ahead of time to go with whomever the group decided: You choose the men and we’ll go with them. Having heard the apostles’ proposal – not their edict – and giving it some consideration, the body of believers was pleased with the idea and decided to do what the apostles proposed. And they chose seven men. And they presented them to the apostles. The apostles didn’t choose the men and then present them to the body. How opposite to how things work in elder-dominated churches! And the apostles kept their word and blessed the men that the body had chosen. How different the experience of church might be if this process played out more often. 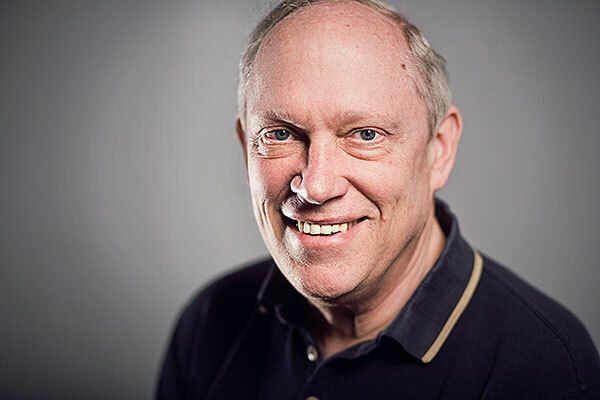 Dear Mr. Driscoll: Religious leaders killed Stephen. Stephen was killed because he brought charges against religious leaders. He brought charges that discredited not just one minister, but an entire group of ministers – the Sanhedrin. Inspired by the Holy Spirit, Stephen “attacked” the ministers with charges that they could not even tolerate hearing. And so, instead of responding to the charges he brought, they chose to destroy the accuser. They were men who were supposed to be trustworthy. They were religious leaders, tasked with shepherding the flock of Israel. Their ministry was to run a religious court system, ensuring justice in Israel. Yet they were the men who killed Jesus. How utterly insulted the Sanhedrin must have felt. Who was this Stephen guy anyway, and how dare he speak so boldly – so arrogantly! – to men of such high authority! And he brought enormous charges: he said they killed the Righteous One! So terrible persecution spread across Jerusalem. Fear was put into the hearts of every Christian. Fear that if they spoke the truth, they would be targeted. Fear that if they seemed sympathetic to that troublemaker Stephen, and if they seemed critical of the Sanhedrin, they too would be killed. And so the church was ravaged by religious wolves who couldn’t stand to hear criticism of their ministers. Do shepherds also come in packs? As we become more and more exposed to the systematic abuse of members, staff and elders who raise questions at Mars Hill Church, coupled with scandal after scandal that clearly cause question raising, one must wonder about the many factors that helped create the environment that has allowed the current mess. There is no doubt that other national leaders who have had a relationship with Mark Driscoll have seen what questioning members have seen. There are many men who could have played a role in tempering Mark Driscoll’s rush to un-accountability. But I think a good place to start is to look within the ranks of Acts 29. 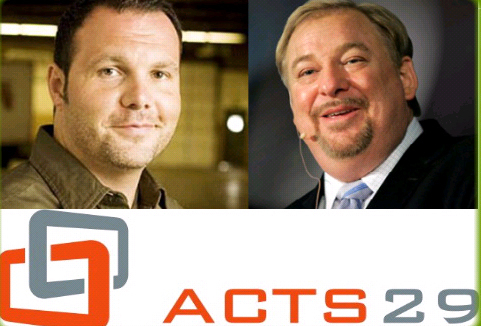 Acts 29 was birthed out of Spanish River Church in Florida when its late leader, David Nicolas, met Mark Driscoll and proposed to start Acts 29. Spanish River Church had a church planting heart, having had a history of launching many church plants prior to the founding of Acts 29. It also had several members who were able to financially back a national movement of church plants. In 2005, in a move very similar to the 2007 manipulative firings of Pastors Petry and Meyer and radically changing the bylaws of Mars Hill Church, Mark Driscoll succeeded to get David Nicolas ousted from the board of the very organization he help co-found, and Driscoll himself installed as the president. The manner in which this was done has been the source of rumors of Mark Driscoll’s callous cruelty toward people. Witness to this were men like Ed Stetzer, Darrin Patrick, Rick McKinley, Steve Tomkins and others. Other men like Tim Keller and John Piper would have surely heard and seen Mark Driscoll in action, yet they said nothing. 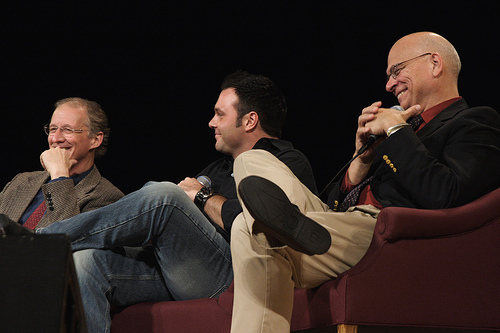 Furthermore, these men continued to speak with Mark Driscoll at conferences and create organizations that named Mark Driscoll in a way that authenticated his ministry style. 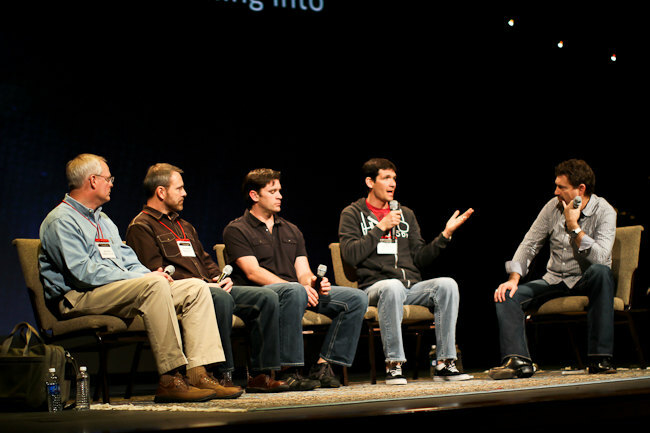 They shared the podium and limelight at Acts 29 boot-camps and other venues repeatedly. Their very presence on the same stage led the public to believe they were endorsing Driscoll – and by their actions they were. Others went on Driscoll’s defense. Several writers at the Gospel Coalition, even when mildly rebuking Driscoll for this or that, still heaped praises on him and his ministry. Anthony Bradley came out of the woodwork harshly rebuking Rachel Held Evans for her words condemning Driscoll’s comments about effeminate worship leaders. Apparently, Bradley failed to see how publicly rebuking Evans for publicly rebuking Driscoll was at the very least doing exactly what Bradley accused her of doing. Maybe the gentlemen’s agreement among these men is that you do not rebuke one of your own. Is this why these men who have known of the aggressive and abusive style of Driscoll are quick to rebuke others, but hardly have opened their mouths when it comes to Mark Driscoll? It is long known that many Acts 29 pastors were beginning to question and distance themselves from Mars Hill Church and Mark Driscoll in particular. So when Driscoll tried his takeover of Acts 29 in 2012, there was finally sufficient backlash to remove Driscoll as president and move the headquarters out of Mars Hill Church to Texas. All this was well and good. But where were the truthful statements about the transition? All we got was flowery statements. 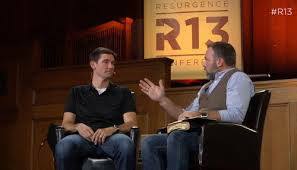 If Matt Chandler knew about the abusive ways of Mark Driscoll, why has he not spoken up? 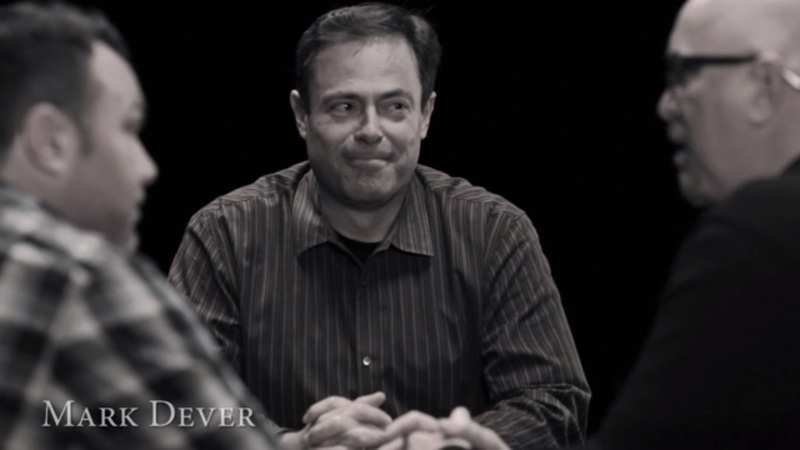 Chandler shared the stage with Driscoll at Resurgence 2013. His presence continued to endorse Driscoll’s leadership style. Chandler’s continued silence and his association with Driscoll’s Resurgence organization, if not implying Chandler’s approval of Driscoll, is troubling. The national leaders of Acts 29, as well the leaders in the Gospel Coalition have now increasingly distanced themselves from Mark Driscoll. But they have done so in a way that has not warned the church of his abuse. It is only recently that Acts 29 has followed the actions of the Gospel Coalition, scrubbing references to Driscoll from their websites. So why not tell us why? It is my opinion that these men have failed the church by their silence. They are continuing to fail the church with their continued silence. Members are being hurt, yet we hear nothing from these men. I appeal to them, even as lowly members are increasingly speaking out, to walk in the light and tell the truth to the church. After all, are you shepherds meant to protect the sheep, or the pack of shepherds?